August is finally here, reminding me that summer isn't over just yet... but it's time to start adding some autumn pieces to the ole' wardrobe. 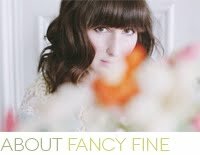 And, lucky you, the appropriately named Darling Vintage is giving away $50 in store credit to one vintage-loving lady! Score a beautiful blouse, an amazing pair of striped shorts, or even the perfect 1960's mini dress. 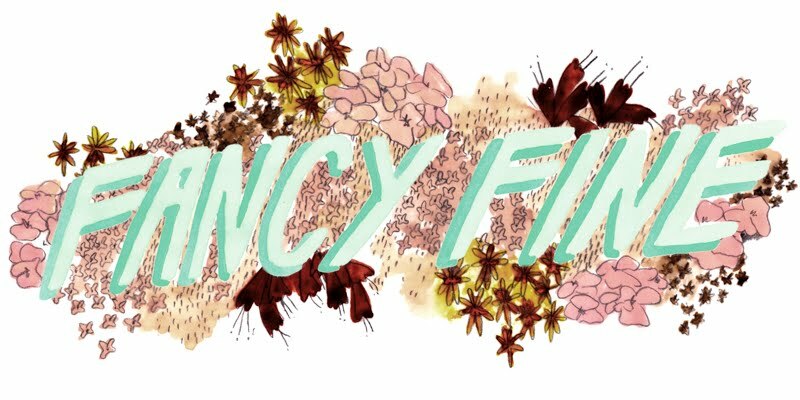 The best part is that everyone gets 20% off anything in the shop through the end of August using the code FANCYDARLIN! 1. Your name and email. 2. What is your favorite piece from Darling Vintage? 3. What is on your autumn wish list? The giveaway is open to international readers and the deadline to enter is August 10th. Good luck! Oh look my favorite piece, is just that! also for summer the grey striped romper...which is on sale, so i might just grab it. Such a lovely give away and I was so happy to see it is for international readers!! my favourite piece is the vintage '80s bright CHERRY red NAUTICAL CROP top. I haven't got anything red and sailor-like and it would fit so nicely in my wardrobe! On my autumn wish list is a pinafore dress, more tweed and mustard coloured tights!! 3. On a mental level: inspiration to become happy. On a little more materialistic level: A new dress that I will love as much as the black-with-white-dots, full skirt, vintage dress I've been constantly wearing this last year. I like the 70s sky blue floral western midi dress. I love the 60s inspired bubblegum pink mini dress! Ashley, we have similar taste! I've had that grey and red dress with the heart applique on my favorites list for a few weeks wishing I could afford it! So that would definitely be my favorite. 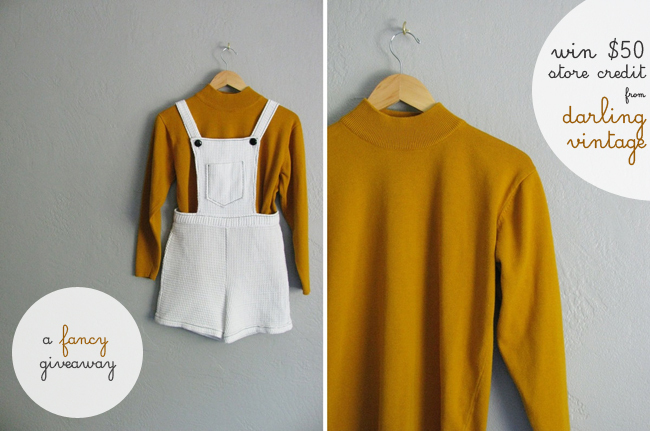 On my fall wishlist is a great pair of overalls. The lilac floral sundress is just too cute!! 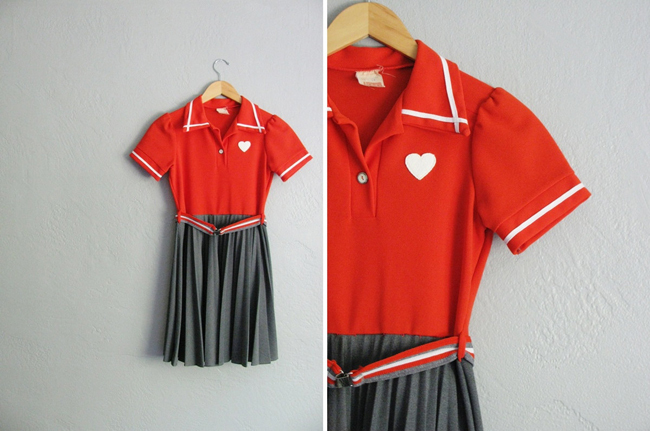 My favourite is the vintage '60s bright red & grey mini dress with HEART patch. Its like a candy! My autumn wishlist is a pair of suede oxford shoes and a tartan 60's dress. 3. This Fall I'm hoping to up my wardrobe to incorporate lush vintage pieces a la 80s Parisian indie films. That said, I'm hoping to stack up on high-waist trousers, granny booties, floral vests, camel wool coats, and tons of oversized blazers and cable knit sweaters. I adore the stripey 50s dress in blue, purple & green, it's adorable! And for autumn I'd love to find the perfect oversized cardigan :) Cozy! 2. the reversible rain slicker! 3. new short rain boots :) I used my last pair up to death! vintage handmade FLORAL mini dress with CUTOUT neckline & RUFFLE sleeves. 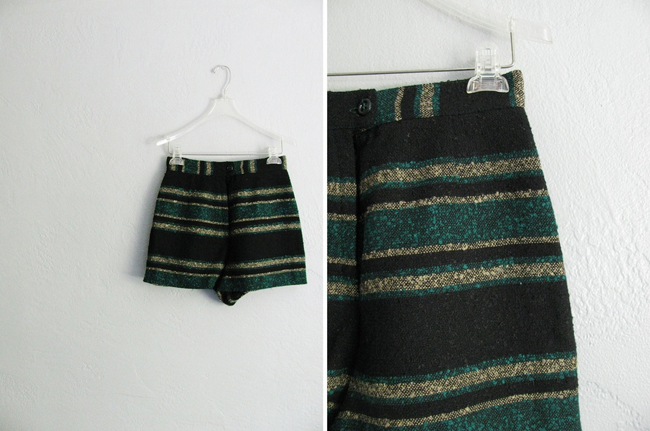 size xs s.
but at the moment I am really hanging out for a pair of: vintage wool COFFEE HIGH WAIST shorts. size s.
I would really appreciate it if I won :) P.S Your blog is just TOO lovely! I would love a satchel bag for autumn, although it's winter in Australia. But it is so beautiful, for all seasons! For fall, I'm looking for ankle rain booties and velvet dresses. 3. My wishlist would have to be...black tights, LBD, pastel-colored cardigans. 2. vintage SEQUINS & BEADED heathered knit ABSTRACT sweater. so many pretty things to choose from though! I love the twill shorts, but the red and grey pleated dress is just the cutest. And, having pretty much the same body I did at 14, I could even fit into it! On my autumn wishlist is a navy duffel coat and herringbone tights. It gets pretty chilly round here. It's very hard to choose one, so it's just everything. 2. The '60s floral citrus sleeveless shift dress. 3. New boots are definitely on my Autumn wish list, and more colourful tights. I love the colors in the blue and plaid 50s dress. I'm on the prowl for a killer pencil skirt for autumn! 2. I love the 60s red and grey dress wit the white heart on it! 3. For the fall I want more sweaters with cats on them! 2. the vintage '50s/'60s mad men ELECTRIC BLUE VELVET coat. size s... It was in my favorites for months! 3. A cozy mint cardigan and a coral belt! This is such a lovely giveaway, thank you dear! I love the 50s striped dress with box pleats! so cute! I'm definitely in the market for some cable knit tights and vintage corduroy skirts this fall! 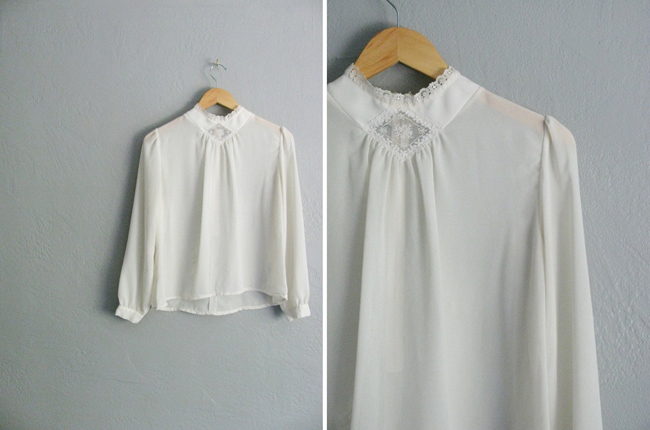 I like the vintage delicate white PINTUCK PLEATS FLORAL blouse best. My autumn wishlist includes knee socks and lots of them. I'd really like a pair of black ferragamo flats for Autumn. My favorite piece from DarlingVintage would have to be this darling dress! http://www.etsy.com/listing/104104433/vintage-80s-baby-blue-floral-bow-print? My autumn wish list includes a camel/beige hued coat, neutral oxfords, and a blue/lace 1950s dress! 3.And for autumn I'd love to find the perfect cardigan and a new pair of boots! So many darling pieces (fitting, given the name "Darling Vintage," innit? ), but there's a special place in my heart for that 90's navy blue and metallic gold polka-dot cardigan. This fall, I'm looking out for patterned skirts in earthy tones, a crisp white blouse with peter pan collar and 3/4 sleeves, cozy sweaters (ALWAYS cozy sweaters! ), brogues and loafers, and plenty of knit stockings. Hi! My name is Irén and I'm from Norway. I like your blog and I've been reading it for a while now! I loooove the vintage '60s handmade FLORAL mini dress with SWEETHEART bust & PEPLUM waist. Lots or rust, brown, and mossy greens are on my fall wishlist! 2. I love the black vegan ankle boots and the blue/white abstract print shorts! 3. A jean jacket! Also rain boots. My autumn wishlist is all about minimalism and subtle details, delicate lace vintage dresses and tops, brown lace up riding boots, super soft black tee shirts and neckscarves in autumnal colors. For autumn, I'm looking for some good ankle boots and plenty of big sweaters! 3. I'm on the hunt for a great pair of brown ankle boots. 2. The pastel blue periwinkle dress, its so cute! I love the cream leather heels! I'm still in search of the perfect shift dress and a pair of jeans that WON'T stretch! I love Darling Vintage's navy and white printed shorts. So cute for summer. On the top of my autumn wishlist is a chunky knit burgundy sweater. and what i wish is that i finally move in to another city this fall with that lovely dress!! Hi, my name is Karen Ou! My favorite piece from Darling Vintage is the Vintage '70s/'80s COTTON CANDY pink LACE mini dress. It's just so feminine and pretty! And how could I pass up lace? and my wish list includes vintage hats. 3. the above shirt x infinity! I adore the vintage '80s blue floral and bow print mini dress. The collar is adorable. As for my autumn wish list, I would love to add a chunky over sized cardigan to my wardrobe. 3. I want to buy some light coat and cardigan.